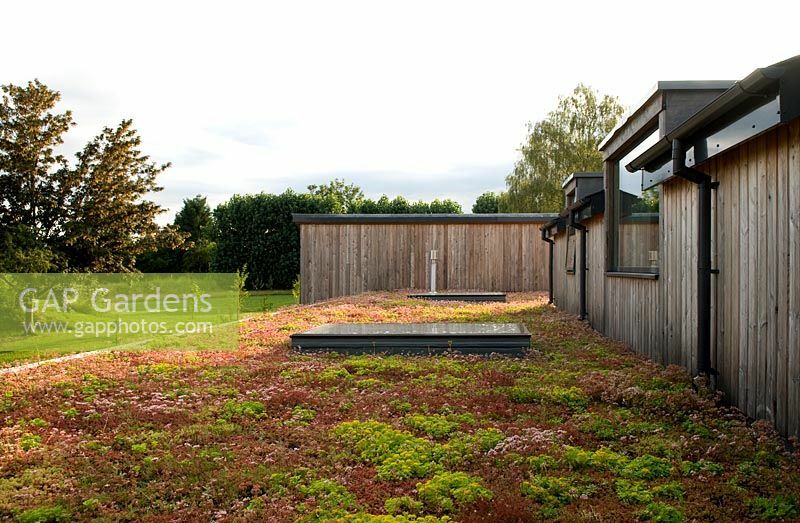 Sedums - Living roof of mixed succulents. Gloucestershire, UK. Image 0506945 has been added to your cart.